When my best friend asked if I wanted to join her and her husband on a trip to New Orleans, Louisiana, I did not hesitate. My sister visits NOLA every few months to see her boyfriend attending LSU which has sparked my interest in the historic city. I was most excited to visit one of the original sugar cane plantations while I thought anything additional would just be icing on the cake. NOLA has so much to offer in terms of culture, history and sights. I was blown away by the exquisite architecture, the live music on street corners, the well-kept parks and extensive amounts of museums. While the humidity of the South was not my friend when it came to my hair, I loved the Mardi Gras city! Plantations- We visited two plantations while in Louisiana- Oak Alley and Laura Creole Plantation. For both plantations, we purchased tickets for the tours which offered a full in depth look into the plantation home. If you do not purchase the tour, you can only view the plantation from the outside. 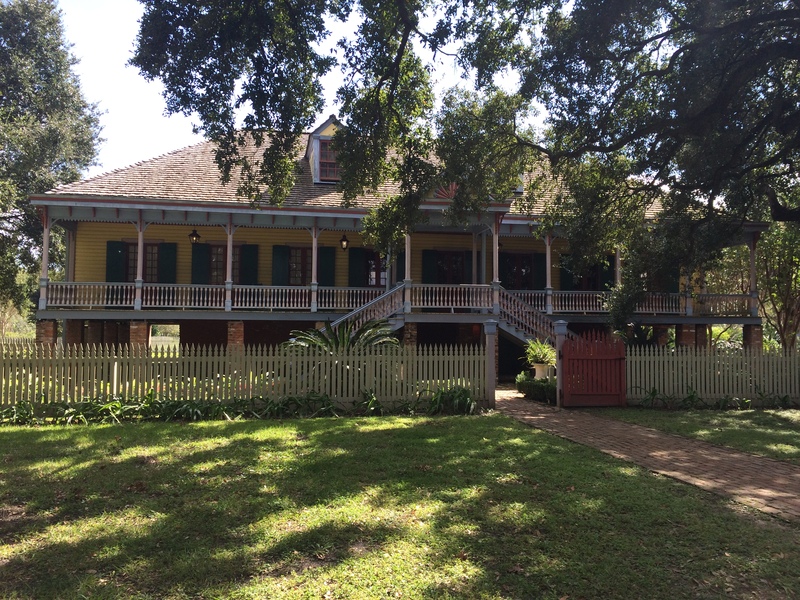 The Laura Creole Plantation was historic and colorful. In addition to the plantation they had a replica of the slave quarters where they would live on the grounds. 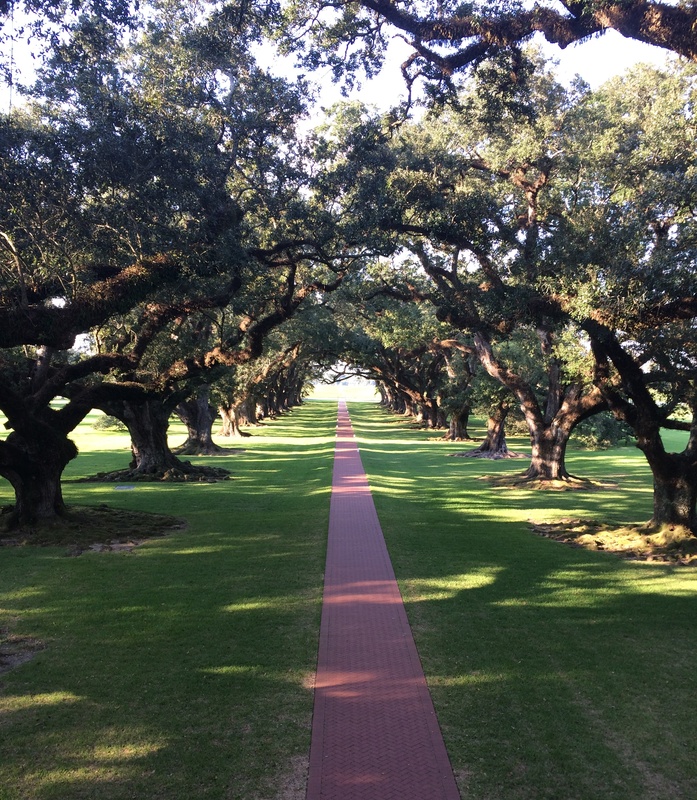 Oak Alley was breathtaking with the beautiful oaks surrounding the large white plantation. Both plantations offered not only some beautiful pictures but educational information as well. We learned Louisiana still has 7 original plantations you can visit across the state with sugar cane being the largest crop harvested. I would highly recommend visiting for such an insightful and enlightening trip. Food– I love Southern food and New Orleans did not disappoint. Beignets, seafood and Cajun style meals were to die for. We visited the famous Café Du Monde for beignets and coffee. I have not been able to eat a donut since I ate a beignet. Warm from being just made, drenched in powder sugar, the texture and taste blew all breakfast pastries out of the water. The lunches and dinners we had were fantastic. I made sure to eat as much seafood as I could get my hands on. Flavor is the name of the game in Louisiana as the majority of the meals had the Cajun kick I was looking for. I made sure to try a classic Po Boy which was a tasty sandwich unique to the area. I would return to New Orleans for the food alone. Cemeteries- New Orleans has many cemeteries including the burial place of Marie Laveau, known as the Voodoo queen. American Horror Story: Coven was one of the reasons, my best friend wanted to visit the area so her burial site was a must see for us. The burial spot of Laveau was one of the most visited burial spots but there is even more to see at these cemeteries. We were able to visit three cemeteries total where we learned about the history and architecture of these areas. I would highly recommend a tour guide who can tell you the stories of how the marble got to some of the locations, the division of burial spots and interesting family facts of those buried there. French Quarter/ Bourbon Street/ Jackson Square- We spent a lot of time in the French Quarter area since it was close to our hotel, has an abundance of restaurant choices and live entertainment. We were able to enjoy Jackson Square within French Quarter, home to Café Du Monde, St. Louis Cathedral and Jackson Square Park. Of course if you visit NOLA, you must at least also walk to Bourbon Street just to experience the rowdy area. You will see Mardi Gras beads on the telephone wires let over from the yearly celebration. All of these areas are within walking distance of each other and allows you to experience the city on foot. We got very lucky one night as we sat in a restaurant eating dinner when we jazz band came down the street leading a NOLA wedding of a celebrity. It was amazing to watch all the wedding guests lined in the street dancing and drinking! 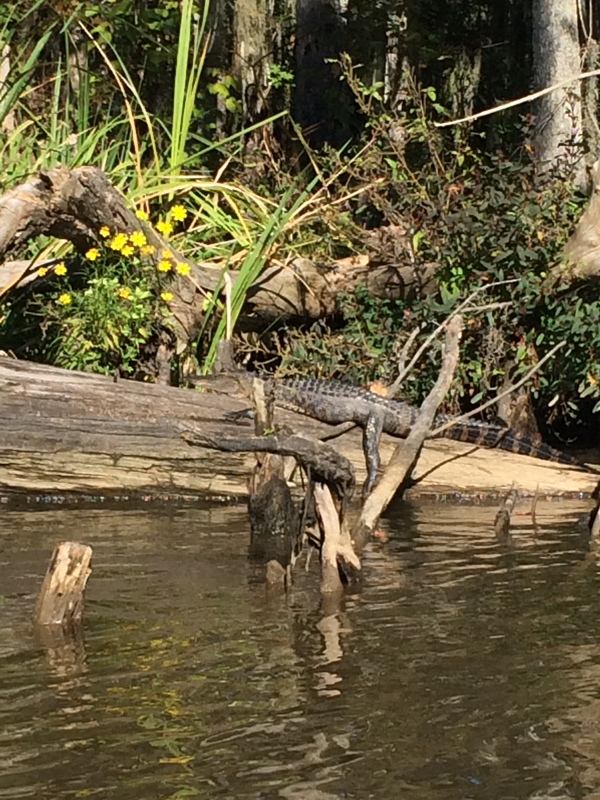 Swamp Tour– This was my absolute favorite part of our New Orleans trip. You don’t find alligators in California like you do in the South (which I am NOT complaining about). You get a great mix of adventure and nature in one visit. We went down to Honey Island Swamp, about 40 minutes outside of NOLA. We got on a 20 person speed boat to tour the swamp. We saw raccoons, birds, snakes and of course alligators. The boat driver was even able to get the alligator up close! It was terrifying to have it so close but made for some awesome pictures. They also pointed out different types of trees and plants specific to the state or area. 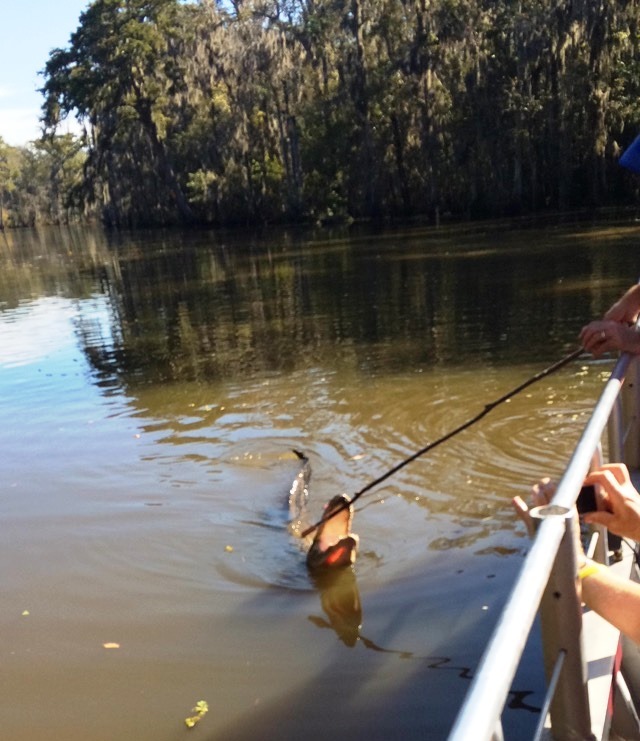 We all agreed the swamp tour was the highlight of our trip. So if you have been thinking about visiting New Orleans or the South, I would highly recommend planning a trip. There is so much to offer in the city beyond what I mentioned, including the Superdome, Voodoo Tours and riverboats. 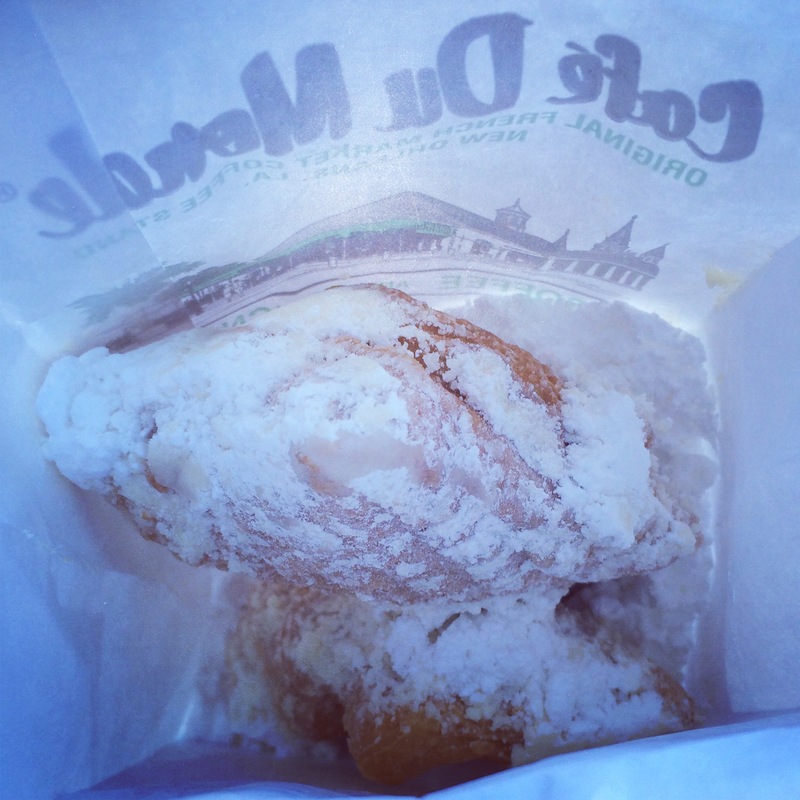 Eat a Beignet for me or even better bring one back on the plane if you can resist eating a piece of Heaven! 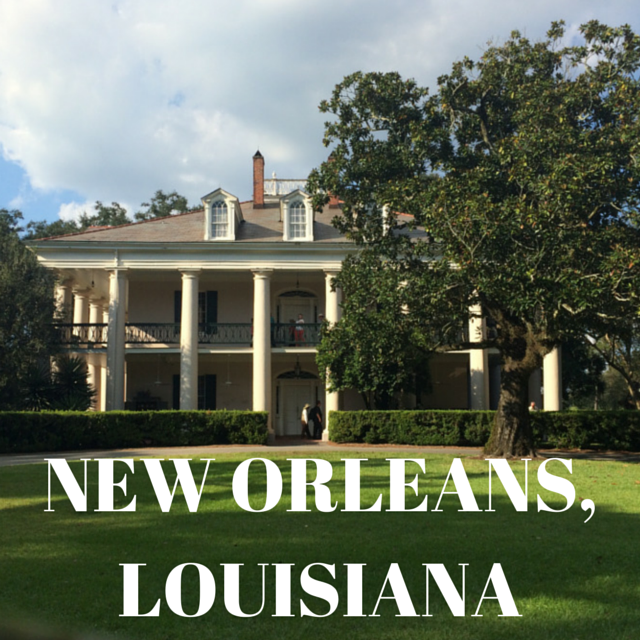 This entry was posted in New Orleans, Top 5, Travel, Traveling, Wanderlust and tagged New Orleans, top5, Travel, Traveling, Wanderlust. Bookmark the permalink. Fabulous post! You know I’ve been dying to go back and this post makes me want to even MORE!